We proudly present you and advance of the upcoming different festivals we organize in the next years. For good amateur and semi-professional choral groups we do organize the Castile International Choral Festival the next June 2018 (XII th edition) and June 2019 (XIIIth edition). For semi-professional and professional small ensembles and gospel choirs , we do organize during the first two weeks of December , our Gospel in Spain Festival . We are almost at the beginning of this new season. It has been a long way since we started working last year on this concerts. We are very proud of the job that had been done closing over 80 concerts between this week until the end of June. All the arrangements had been done carefully thinking on great music performances, choral and instrumental. We opened new windows and new cities connections had been done though Portugal where we made already new friends in the world of jazz, classical and choral music. We are just waiting to announce drop by drop each on the concerts in this web site. We have several concerts starting this week in Seville, Lisbon, Barcelona and Valencia, but we want to open this season announcing the concert tour of the Copenhagen Royal Chapel Choir for this end of April. Under Ebbe Munk direction they will perform at the Monastery of San Jeronimo in Lisbon on April 26 , the Old Cathedral of Salamanca on April 28, the Church of San Salvador in Seville on April 30 and the Cathedral of Malaga on May 2. Music for solo harp creating an inner stream of beauty and unity…. Once we are in mid July and after a break before start working on next year season, it is time to look back to the past months of May and June as one of the most productive concert seasons we did organize over the past years. 26 concerts happened in two weeks. From choral to jazz, from wind to symphony. Over 10,000 audience welcomed their concerts. Music spread from Lisbon to Barcelona, from Bilbao to Puerto de Santa Maria, from Salamanca to Ubeda, from Valencia to Reus all over the Iberian peninsula. The WUC performed in Barcelona, Montserrat, Bilbao, Salamanca, Madrid and Alcala de Henares, while the LCCB played in Madrid , Valencia, Puerto de Santa Maria and Ubeda, while the UCBSO played in Ubeda, Granada, Valencia and Reus and while the different ensembles of the Pacific University performed in Setubal, Lisbon, Madrid, Valencia, Castelldefells and Barcelona. There were some special days for us, as Saturday 27 May, as when the choir were singing in Bilbao under the direction of Mark A. Hafso works of Palestrina , Victoria, Tichelli, David Brunner or Randall Stroop ; at the Festival Internacional de Musica de Ubeda, the UCBSO were playing works of Debussy, Cindy Cox, Amadeus Regucera and Berlioz, and in Cullera, a town near Valencia that has one of the oldest and better Sociedades Musicales, the Luther College Concert Band under Joan de Alburquerque, were playing with the Youth Wind Band works of Rossano Galante, Andre Waignen, Bach , Turrin or Bernstein. On Tuesday 30, while the choir were singing at the Catedral de Salamanca, the UCBSO were playing at the Palau de la Musica de Valencia and amazing concert in front of 1000 warming audience, where they played three encores. The day after, was the Atlantic Day, where two of the Pacific ensembles combined two programs of jazz and symphonic music at the main venue in Setubal, the Forum Luisa Todi in front of +500 people. At the same time in Puerto de Santa Maria (Cadiz) the LCCB where playing in front of 700 people who enjoyed each piece and clapped standing up on “flamenco” rhytms. Thursday June 1st was another big day with four concerts at the time. While the WUC were singing at the Catedral de Alcala near Madrid, the UCBSO were playing south of Barcelona, the LCCB were playing at the Festival de Ubeda and the Pacifc Jazz ensemble were playing on top of the city of Lisbon. Two days after the Pacific arrived into Madrid where both the wind and the symphony played in the bullring on a small town near Madrid while Real Madrid soccer team where playing the European championship vs Juventus Milano. After Real Madrid victory the Jazz Ensemble played at the main Plaza almost after midnight!! While most of the bands were flying back home the Pacific continued from Madrid to Valencia and Barcelona where they finished their tour with open air concerts near Barcelona and a final symphonic concert at one of the nicest gothic churches in Barcelona. Now, it is time to rest and charge the batteries for the coming season, but also to meet early September with over 20 different bands of jazz, blues and rock coming from Texas to take part on the second Pueblos Blancos Music Festival. Want to thank to all musicians, audiences, local sponsors and partners who helped us on this wonderful adventure of music throughout the years and specially during the 2017 season. We hope to work together in the near future and wish you all a nice summertime! 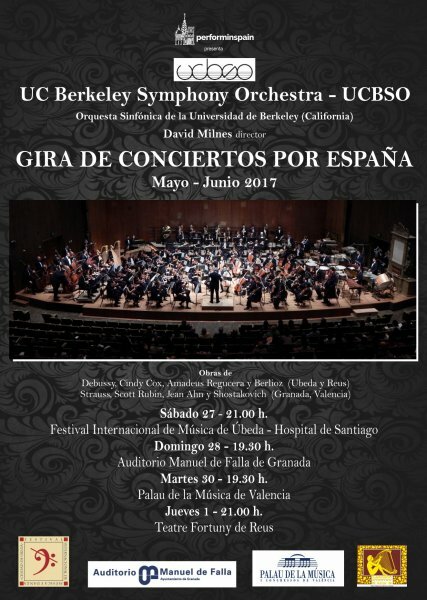 La UC Berkeley Symphony Orchestra, (Orquesta Sinfónica de la Universidad de Berkeley), (California), bajo la dirección de David Milnes, inician el próximo mes de mayo una gira de conciertos por España que los llevarán a tocar en Úbeda, Granada, Valencia y Reus. 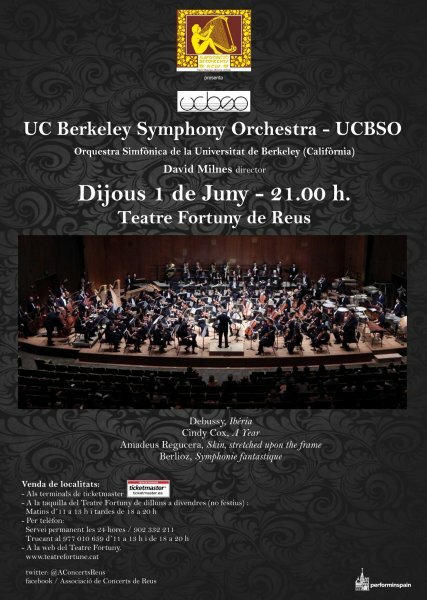 La Orquesta Sinfónica de la Universidad de Berkeley (UCBSO) se encuentra entre las mejores orquestas universitarias de los Estados Unidos. La gira de conciertos está organizada por Perform in Spain. 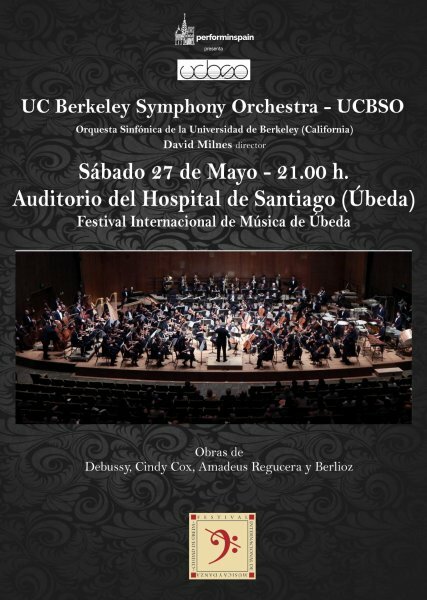 La Orquesta Sinfónica de la Universidad de Berkeley (UCBSO) se encuentra entre las mejores orquestas universitarias de los Estados Unidos. En la actualidad, tras 20 temporadas bajo la dirección musical de David Milnes, representa una de las principales instituciones culturales de San Francisco. Fundada en el año 1923, la UCBSO realiza una media de entre 15 a 18 conciertos por temporada. Su repertorio es muy variado, interpretando un amplio abanico de obras que se extienden desde la música barroca hasta música del siglo XXI. Formar parte de la Orquesta Sinfónica de la Universidad de Berkeley es sin duda un primer paso para fomentar lo que después serán las futuras generaciones de músicos, compositores y académicos. Muchos de sus miembros continúan sus estudios musicales y cursan licenciaturas en algunos de los más prestigiosos conservatorios como son, entre otros, la Julliard School, la Eastman School of Music, el Peabody Institute, y la Manhattan Music School. Muchos de sus miembros actúan con orquestas como la Concertgebouw, la National Symphony o la Philarmonia Orchestra así como algunos forman parte de algunos de los diez mejores ensembles como la Alarm Will Sound, el International Contemporary Ensemble y el Yarn/Wire . Entre los músicos mejor preparados de la Orquesta Sinfónica de la Universidad de Berkeley se encuentran también estudiantes master de Lengua Inglesa, biólogos, ingenieros, historiadores, ingenieros informáticos que luego alcanzan algunos de los puestos más altos de sus respectivas carreras. Los estándares musicales de la Orquesta Sinfónica de la Universidad de Berkeley se han visto reforzados en los últimos años gracias a las colaboraciones con organizaciones como Cal Performances, donde han dirigido masterclasses y seminarios junto a artistas internaciones como Valery Gergiev, Gustavo Dudamel, Marin Alsop, y Esa-Pekka Salonen. La orquestra es dirigida regularmente por miembros de la San Francisco Symphony Orchestra y de la Orquesta de la Ópera de San Francisco, y han trabajado también con prestigiosas orquestas como la Filarmónica de Viena o la Orquesta Sinfónica Simón Bolivar, que tiene previsto regresar a Berkeley la presente temporada. La Orquesta Sinfónica de la Universidad de Berkeley se enorgullece de interpretar nueva música, y estrena con regularidad nuevas obras de músicos internacionales que han sido antiguos alumnos así como de otros prominentes compositores. De la especial relación con el Centro de Nuevas Músicas y Tecnologías de la Universidad de Berkeley han surgido magníficas interpretaciones de nuevas obras con la tecnología realizadas por Mason Bates, John MacCallum, Philippe Leroux y Edmund Campion. La presente temporada la UCBSO mantiene la tradición de interpretar nuevas obras de Bernard Rands, Henri Dutilleux, Krysztof Penderecki, Gyorgi Ligeti y Toru Takemitsu. La Orquesta Sinfónica de la Universidad de Berkeley también es conocida por sus interpretaciones de las grandes obras del repertorio clásico para orquesta, destacando los ciclos sinfónicos de Beethoven, Brahms, Mahler, Shostakovich, Sibelius y Prokofiev entre otros. El programa de este año incluye la Sinfonía nº 4 de Tchaikovsky, la Sinfonía nº 4 de Sibelius, Daphnis y Chloe de Ravel y la Sinfonía nº 4 de Nielsen. Cada año se celebra un concierto -competición entre los solistas con más talento de la orquesta. Los premiados de los últimos años interpretaron obras para violín de Tchaikovsky, Sibelius, Prokofiev, Mendelssohn y Mozart. Para el concurso de piano los elegidos fueron Tchaikovsky, Beethoven, Grieg, y Ravel. Mozart y Aaron Copland son los compositores elegidos por los clarinetistas; y los conciertos para chelo de Schumann, Elgar y Shostakovich, los elegidos por los solistas de este instrumento. Lo miembros de la orquesta interpretan a su vez música de cámara en conciertos que celebran en su departamento de música, en los ciclos de Mediodía, y en diferentes espacios de la bahía de San Francisco. 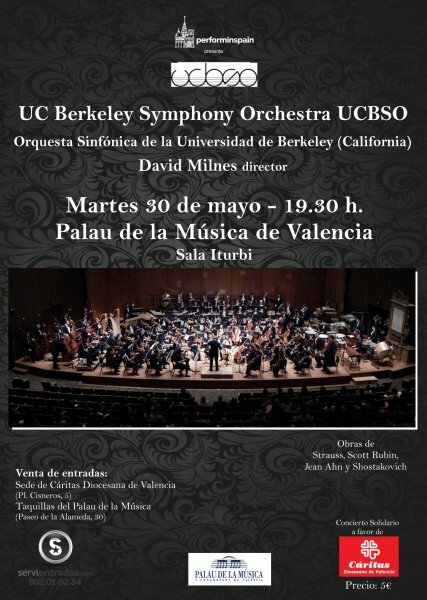 David Milnes compagina la Dirección musical de la Orquesta Sinfónica de la Universidad de Berkeley, con su puesto de director musical de la del Eco Ensamble, nuevo conjunto de música profesional de Berkeley. En sus primeros años, estudió piano, órgano, clarinete, cello y voz, y consideró la posibilidad de que su carrera se orientase a ser pianista de jazz. De hecho., actuó con figuras del jazz como Chuck Mangione, Gene Krupa, Billy Taylor y John Pizzarelli. Titulado Superior en Dirección de Orquesta por la Escuela de SUNY Stony Brook y la Yale School of Music, David Milnes ha estudiado con los maestros Otto-Werner Mueller, Herbert Blomstedt, Erich Leinsdorf y Leonard Bernstein. Obtuvo, otorgado por la compañía Exxon, el puesto de director asistente de la Joven Orquesta Sinfónica de San Francisco, alcanzando luego el cargo de director musical, y con la que dirigió su primera gira europea en el año 1986. Impulsor de la nueva música, entre los años 2002 y 2009 dirigió la formación San Francisco Contemporary Music Players, con los que estrenó innumerables obras en todo el mundo. Ha realizado grabaciones de música de John Anthony Lennon, James Newton, Edmund Campion, Jorge Liderman y Pablo Ortiz y ha colaborado en actuaciones con Frederica von Stade, Dawn Upshaw, Bill T. Jones, Paul Hillier, James Newton, David Starobin y Chanticleer, así como actuaciones en los festivales de música de Santa Fe, Tanglewood, Aspen y Monadnock. 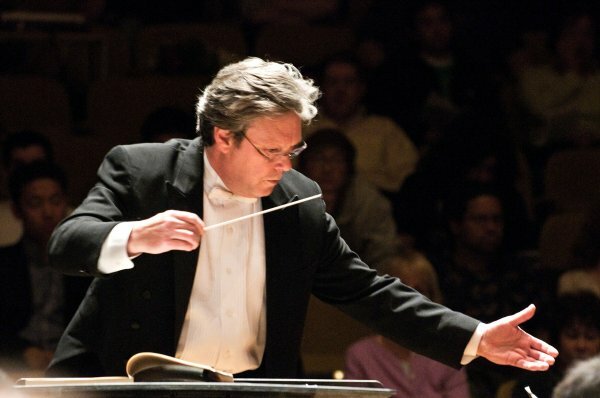 David Milnes ha sido profesor en la Julliard School, el Curtis Institute y el San Francisco Conservatory of Music. Además de sus numerosas actividades y actuaciones, David Milnes imparte cada verano en Berkeley, un Curso de Historia de Jazz. 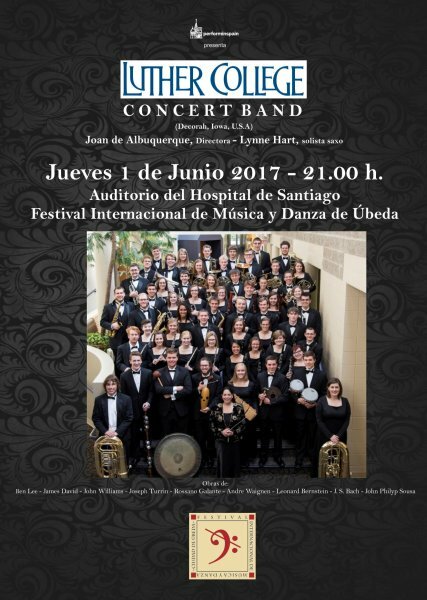 La Luther College Concert Band, (Decorah, Iowa, U.S.A), bajo la dirección de Joan de Albuquerque, y el concurso de Lynne Hart, saxo solista, inician el próximo 26 de mayo una gira de conciertos por España que los llevarán a tocar en Getafe, Cullera, Buñol, El Puerto de Santa María, y Úbeda. La gira de conciertos está organizada por Perform in Spain. 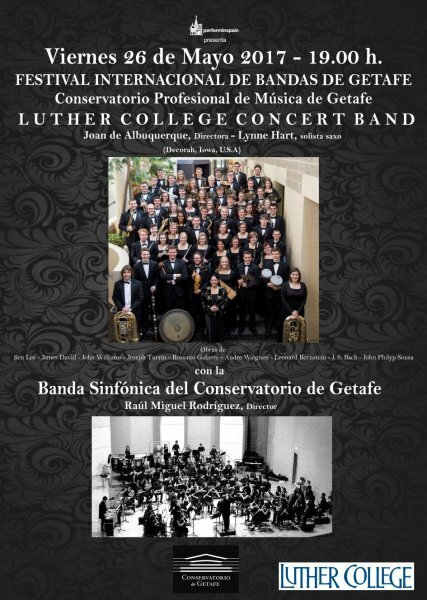 La Luther College Concert Band se formó en 1878, sentando, desde su fundación, las bases para lo que se convertiría en una larga tradición de excelencia musical. 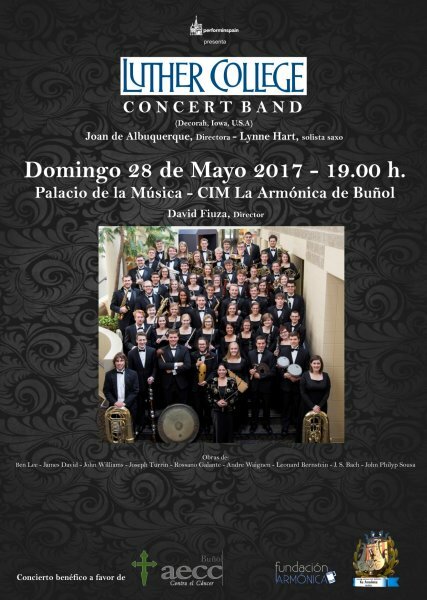 Dirigida por Joan de Albuquerque, la Luther College Concert Band, (LCCB), es una de las bandas más antiguas de Estados Unidos y se encuentra entre las más destacadas bandas universitarias del país, así como fue una de las primeras en realizar giras. Desde sus inicios como banda de percusión y metales, dirigida por los propios estudiantes con instrumentos prestados de otras bandas, la Concert Band alcanzó su actual prestigio bajo la batuta de Joan de Albuquerque, excelente heredera de sus anteriores directores, Carlo Sperati ( 1905-1943), Weston Noble (1948-1973) y Frederick Nyline (1973-2011). A lo largo de su larga historia, la LCCB ha tenido la ocasión de poder actuar en los Estados Unidos, en Europa Occidental y en Japón. La Banda realiza giras todos los años por los Estados Unidos, y giras internacionales cada cuatro años. Este año 2017, su gira internacional les traerá a España en el mes de Mayo. Concierto en compañía de la Banda Sinfónica de Getafe, incluido en el Festival de Bandas del CPM de Getafe. Raúl Miguel Rodríguez es uno de los músicos más completos del panorama musical de nuestro país. Galardonado con el 2º premio del Concurso Internacional de Dirección de Orquesta de Londres, organizado por la London Classical Soloists Orquestra. Su formación como director ha ido de la mano del prestigioso director George Pehlivanian habiendo recibido consejos de maestros como Jorma Panula, André Waignein, José Rafael Pascual Vilaplana, Octav Calleya, Lorenzo Ramos o Achim Holub. Trompetista destacado, alumno de Martín Baeza y Jose Maria Ortí, ha participado becado en el primer encuentro de Puebla Instrumenta en México, colaborando con la Orquesta del Festival y con el grupo de metales German Brass. Ha sido primer trompeta de varias orquestas, entre ellas: Joven Orquesta Sinfónica Fundación Coca-Cola y Orquestas de Cámara, Sinfónica y de Música Contemporánea del Real Conservatorio Superior de Música de Madrid, Filarmónica de Madrid y Orquesta Filarmonía de España. Ha colaborado con orquestas como la Orquesta Nacional de España, Orquesta de Cámara Reina Sofía, Orquesta Staatskapelle de Berlín, Deuscht Oper, Mahler Chamber Orchestra y Filarmónica Arturo Toscanini, bajo la dirección de maestros como Daniel Barenboim, Zubin Metha, Christian Thielemann, Marc Minosky, Rafael Frübeck de Burgos, George Pehlivanian, Eliau Inbal, etc. Ha realizado numerosas colaboraciones con diferentes artistas, destacando la grabación de “Historia del Soldado” de Igor Stravinsky junto a Paquito D ́Rivera, con el que han sido galardonado con un Grammy latino al mejor disco de música clásica. Su preocupación por una formación humanística le lleva a realizar los estudios de Doctorado en la Universidad Autónoma de Madrid. Ha dirigido numerosas formaciones, destacando su colaboración como director asistente en la JONDE, JORCAM (Grupo de Metales y percusión), London Classica lSoloists, Orquesta Sinfónica de la ESMUC, Banda Sinfónica del Conservatorio de Música Profesional de Getafe, Banda Sinfónica Complutense de Alcalá de Henares, Banda de Conciertos de San José (Costa Rica), European Soloists Orchestra. En la actualidad desarrolla su labor como Director Artístico de la Orquesta Complutum21 y Orquesta Sinfónica Escénicas. Natural de Cullera (Valencia) inicio sus estudios musicales de solfeo y oboe en la S.M.I Santa Cecilia de Cullera. Empieza en el campo de la dirección, participando como alumno activo en el “Curso Internacional de Música Ciutat de Cullera” en la especialidad de Dirección de Orquesta, impartido por Salvador Sebastia Lopez, en los años 2010, 2011 y 2013, siendo elegido en este ultimo mejor alumno del curso. En el año 2013 empieza a estudiar dirección de banda en la escuela comarcal de “La Vall D’Albaida” (EMUSVALL) con los profesores Jose Rafael Pascual Vilaplana, (dirección de banda – análisis), Ramon Garcia i Soler (educación auditiva -instrumentación) y Tomas Gilabert Giner (análisis – armonía). 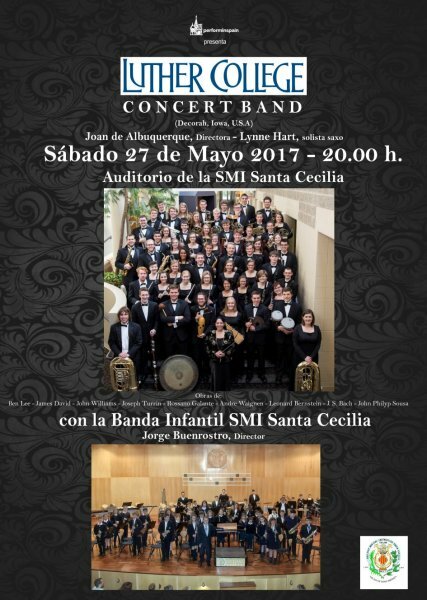 Actualmente es director de la Banda Jove Santa Cecilia de Bellreguard y la Banda Infantil de la S.M.I Santa Cecilia de Cullera. 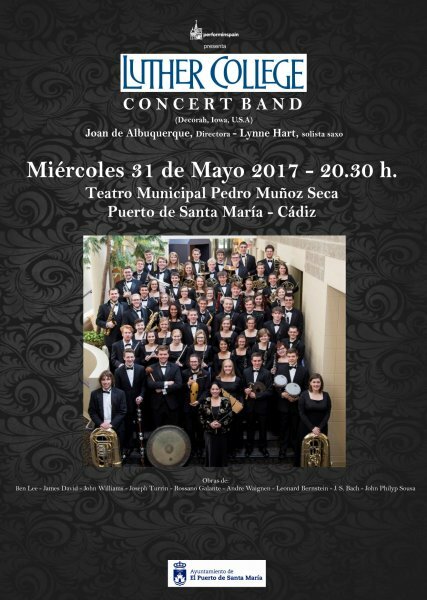 Joan de Albuquerque dirige la Luther College Concert Band y en Ensemble de Viento y Percusión, además de enseñar Dirección. 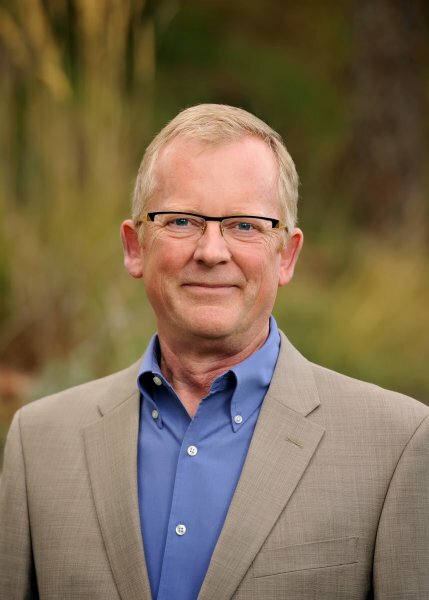 Antes de pertenecer al Luther College, Albuquerque trabajó como director asociado de bandas en la Universidad Estatal de California de Long Beach y como director interino de bandas en el Adams State College en Alamosa, Colorado. Anteriormente trabajó como profesora y directora de la banda del Instituto Pickney en Michigan, donde dirigió la banda sinfónica y la Marching Band además de enseñar instrumentación y música general en las escuelas elemental, primaria y secundaria. De Albuquerque obtuvo su doctorado en Música y en Dirección de Bandas por la Universidad del Norte de Texas donde estudió con Eugene Migliaro Corporon. 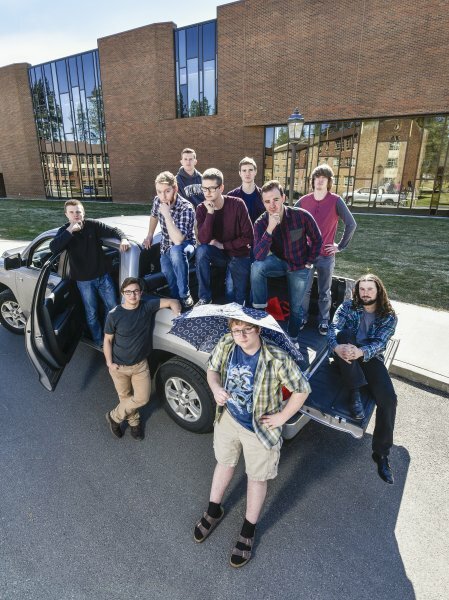 Realizó su master en Direccion de Bandas de Viento en la Michigan State University, bajo la dirección de John Whitwell. Además, es Graduada por la Macomb Community College, y tiene una licenciatura en Educación Musical po la Michigan State University. Como director invitado, deAlbuquerque ha trabajado con bandas de escuelas secundarias en todo el Medio Oeste, el oeste de Estados Unidos e Israel. Ha dirigido clínics y talleres para la Asociación de Banda y Orquesta Escolar del Sur de California (SCSBOA) y la Tau Beta Sigma, asi como ​​ha impartido diversas conferencias en la SCSBOA, la Asociación de Directores de Banda de California, La Conferencia Nacional de Educadores y la Asociación de Bandmasters de Iowa (IBA). 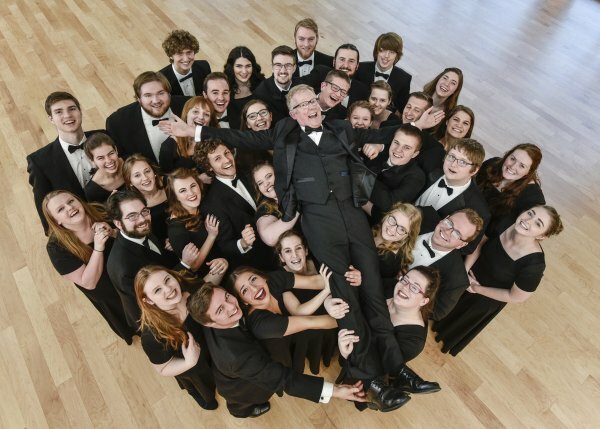 El Coro de la Universidad de Whitworth, formado por 35 voces mixtas y residente en Spokane, Washingon, USA, inicia una gira de conciertos corales por España el próximo jueves 23 de mayo. Una gira que se extenderá hasta el 1 de junio y que llevará a este excelente Coro a actuar en Barcelona, Bilbao, Salamanca y Alcalá de Henares. Una vez más, Perform in Spain, promotor de la gira, nos proporciona la posibilidad de poder disfrutar de excelentes músicos no habituales por nuestros pagos. Todas las actuaciones son de entrada libre hasta completar aforo. 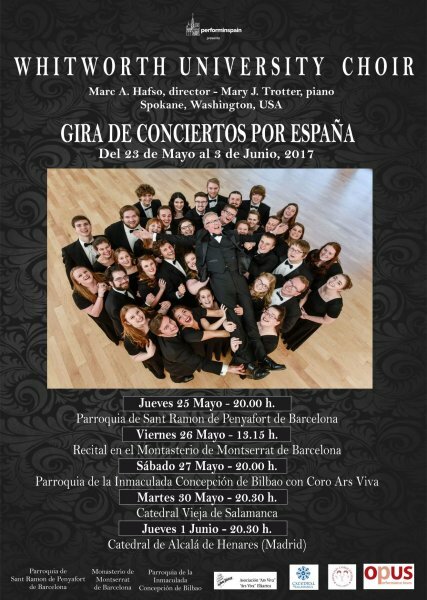 El Whitworth University Choir, bajo la dirección de Marc A. Hafso, y con el concurso del painista Mary J. Trotter, inician el próximo día 25 de mayo una gira de conciertos corales por la geografía española. La Universidad de Whitworth se encuentra en Spokane, en el estado de Washington, en la costa oeste del Pacifico en los Estados Unidos. Segunda ciudad del estado con una población de 500.000 habitantes. La Universidad fue fundada en el año 1890, es privada, está dedicada a las artes liberales y es afiliada a la iglesia presbiteriana. Tiene 2,600 estudiantes que realizan programas de grado y posgrado. El Whitworth Choir está considerado uno de los mejores coros universitarios en la Costa Noroeste del Pacifico, y continua creciendo tras sus 90 años de tradición coral. Los miembros del coro estudian diversas carreras universitarias, lo cual no es óbice para que ensayen una hora todos los días estudiando e interpretando los más variados repertorios corales. El Departamento de Música de la Universidad ofrece licenciaturas en diversas disciplinas musicales con un excelente y cualificado profesorado. Entre ellas cabe destacar las licenciaturas en composición, jazz, piano, pedagogía del piano, música coral y educación musical. El sábado 27 de mayo, a las 20:00 horas, en la Parroquia de la Inmaculada Concepción de Bilbao, en compañía del Coro Ars Viva, bajo la dirección de Josu Soldevilla. (*) con Mary J. Trotter, piano. El director, Marc A. Hafso, lleva catorce años dirigiendo el Whitworth Choir como profesor y director de las actividades corales de la Universidad de Whitworth. Obtuvo licenciaturas en Educación Musical y Dirección Coral (B.A, M.M y D.M.A) en la Pacific Lutheran University, la University de Arizona y la Michigan State University. Antes de llegar a Whitworth, enseñó en la Augustana University de Alberta, Canadá donde desarrolló un excelente programa reconocido en todo el país. Al mantener la doble nacionalidad canadiense y norteamericana, ha trabajado como miembro activo en los órganos directivos de la Alberta Choral Federation, en la Asociacion de Directores Corales Canadienses y ha sido presidente de la American Choral Directors Association en el estado de Washington. Since 1995 we had been producing music tours for international youth orchestras and concert bands all over Spain. Besides all the travel arrangements that we can provide as travel agents as accommodation, transportation, diets, you may need; we provide to your group all the artistic arrangements you will need for a successful tour in Spain: best selection of venues available along your tour, different encounters with other music groups in Spain, to participate at some of the most prestige international music festivals in the country or to participate in some of our own ones. We understand the enormous costs for your group to travel into Spain to be able to play here, but we offer since the beginning our best logistics to adjust to the budget you may have, to help you to hire the local instruments you may need and to provide you the instrument truck for transportation. Since 1995 we had been providing custom performance tours to different International choral groups that decided to come and perform in Spain. We offer all the travel and artistic organization you may need for your concert tour & will suggest you from the beginning the most interesting cultural itineraries or just adjust to the cities, nights and concerts you want to visit and to perform at. We can arrange the number of concerts you will be interested to play in the cities you wish. If you want any suggested itinerary we will love to hear from you and send you’re our best proposal contact us. Since 2000,each June we organize our Castile International Choral Festival in Central Spain, near Madrid. During a 6 night festival we offer four full concerts to each of the choral groups that participates. After the week festival we can always arrange any extensions to your trip with extra concerts in other cities of Spain. Open for professional gospel and spiritual ensembles who want to participate on our festival that will take place every year during December. The Festival will be a rotary one, where each ensemble will travel and play together with other ensembles in different cities all over Spain during 5 to 7 days and 3 to 5 concerts. The Phoenix Boys Choir (2001, 2005, 2015), The Buckingham, Browns & Nichol´s, The Illinois Wesleyan University, ISing Adult Choir, The Ensemble Dali(Norway), The Madeleine Children Choir, The Copenhagen Royal Chapel Choir ( 2010 & 2014), Vox Humana (Oslo University, Norway), New Amsterdam Singers, ….